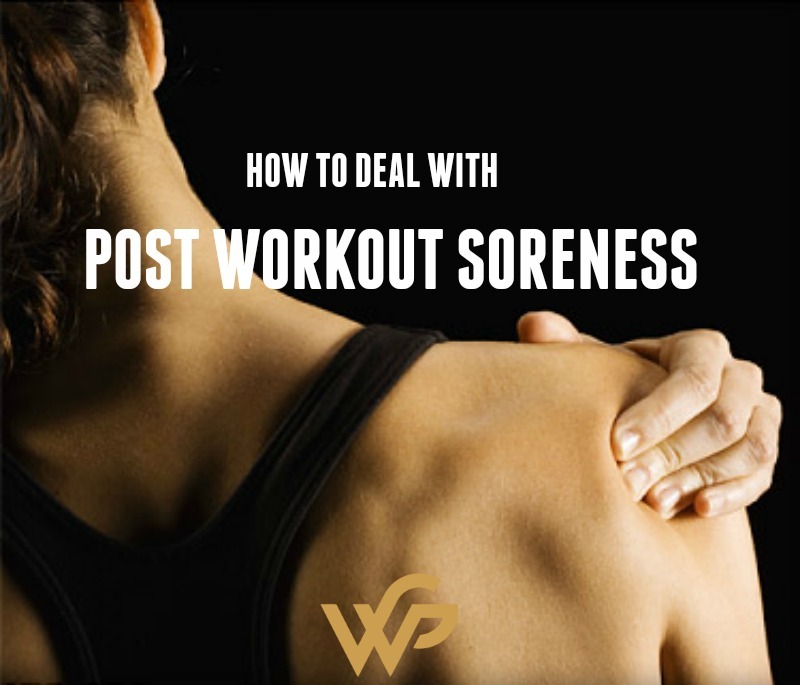 How to deal with post workout soreness? This is the classic delayed onset muscle soreness (DOMS), which tends to kick in from as soon as six to eight hours post-exercise, and peaks around the 48 hour mark. And while lower body soreness tends to be more inhibiting and memorable, the phenomenon certainly isn’t limited to the legs. DOMS can occur anywhere in the body that has recently been exposed to unfamiliar or intense physical activity. The good news is by understanding DOMS you can take steps to reduce its intensity and prevent more serious cases. So let’s delve into what DOMS is, why it happens, and how to move through it. That’s the simple explanation, but on a biological level there’s a lot more going on. Coach Doug Dupont outlined some of these cellular effects of exercise in his analysis of a fascinating study on they body’s response to exercise. The researchers who designed the study put the subjects through a rigorous workout, followed by a series of blood tests. The research team found an increase in injury markers, as well as higher levels of neutrophils and lymphocytes, which play an important role in immune response. The results of this study make sense. When we work our bodies harder than they are used to, the response is inflammation (as indicated by the increase in injury markers). The next natural step is an immune response. When our bodies can’t deal with exercise-induced muscle damage, we experience DOMS. Extreme muscle soreness can be very debilitating and can demotivate you from exercise so excessive DOMS should be avoided at all costs. Muscle strength has been shown to be reduced during muscle soreness and this can be attributed to swelling and even altered muscle firing patterns as the body works hard to repair the injured muscle tissue. DOMS in certain areas of the body can be more difficult to deal with than others. In particular, the legs (hamstrings and quads) can be very debilitating especially when walking up and down stairs. It has been discovered that it’s the eccentric, or muscle lengthening, part of any movement that tends to cause the most amount of muscle soreness. You will get more muscle soreness lowering a weight to the floor that you will from picking it up. It is interesting to note that you are always stronger during the lengthening or eccentric part of any movement and many strength building programs will use negatives to build additional strength in a movement pattern. Negatives can be used effectively by beginners to master many exercises that they can’t complete fully like pull ups or even push ups. To summarize, let’s just say DOMS appears to occur due to connective tissue microtrauma. It’s also worth mentioning that while most exercise can induce some DOMS, exercise with a greater emphasis on the eccentric phase (the lengthening or stretching phase) plays the most significant role in the manifestation of DOMS. And while we feel it most after kettlebell swings. In short, feeling sore and building muscle don’t necessarily go hand in hand. A little muscle damage is good and necessary for growth. But as Levy noted in his article, DOMS: The Good, the Bad, and What It Really Means for Your Training, when DOMS causes a decrease in force production or negatively affects your motivation to work out, the disdvantages outweigh the benefits. Smart recovery can prevent DOMS from derailing your training. In her article, Does Aerobic Exercise Help Get Rid of DOMS? coach Katherine Derbyshire reported on a fascinating study published in the Journal of Strength and Conditioning Research. The researchers suggested moderate aerobic exercise after strength training may help reduce DOMS and can even enhance the effects of lifting weights. If you stand still, then the heart has to all the work by itself. If you continue to move, then the action of the muscles will assist pumping fluids around the body. Keeping moving enables the muscles to contract and assists the heart in pumping. It allows the vessels to contract slowly and expire the waste products as carbon dioxide. A good cool down will typically last between five to ten minutes, depending upon the level of activity. Clearly, it is impractical to connect up a breathing mask at the end of an event. However a good guide will be your heart rate. The point when your heart rate starts to stabilize is indicative of your body returning to normal, although it will remain elevated for some time. When muscles are in recovery mode they tend to tighten up, exacerbating feelings of soreness. Slow, gentle stretching of the area will relieve that tight feeling and diffuse the pain. Massaging a sore muscle can help reduce tightness while promoting blood flow, which in turn helps speed recovery, thus shortening the duration of DOMS. You could even try using a foam roller. As with massage, warm water will loosen up tight muscles and improve circulation. Better circulation means more oxygen- and nutrient-rich blood coming to the rescue of your aching muscles. Add some epsom salts too. Increase your antioxidants to combat the inflammation: more fruit and veg, avocados, lemon water (hot or cold) and a post workout smoothie jammed with plant based goodies with phytonutrients is a good thing. Or if you are really feeling it take some Ibuprofen. Low-dose, over-the-counter painkillers—and Ibuprofen in particular, which has specifically been shown to decrease muscle soreness—will help take the edge off of severe cases of DOMS. Amino acids naturally found in protein can also be supplemented and will add recovery, muscle repair and maintenance and have been proved to assist your body in key muscle functions. You can find out more about supplements in my Easy Supplement Guide and FREE one page download here.